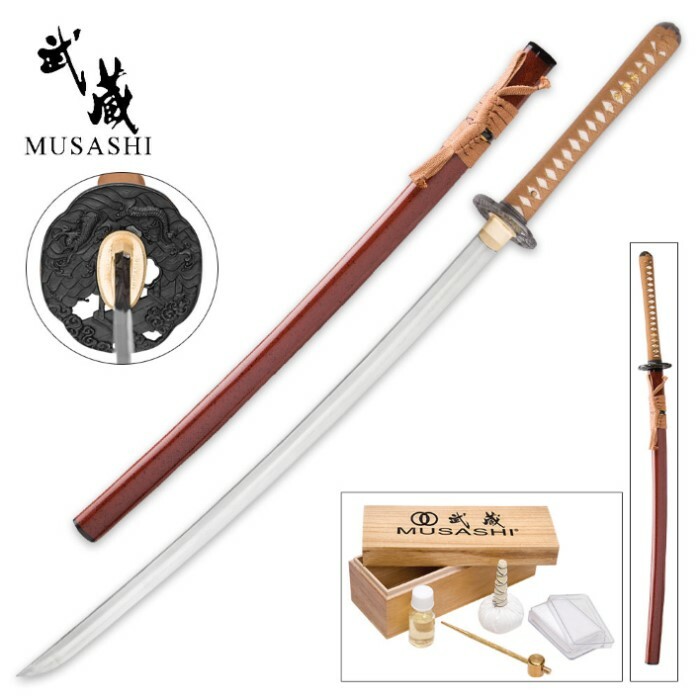 Musashi Hidden Dragon Samurai Sword - Hand-Forged | BUDK.com - Knives & Swords At The Lowest Prices! 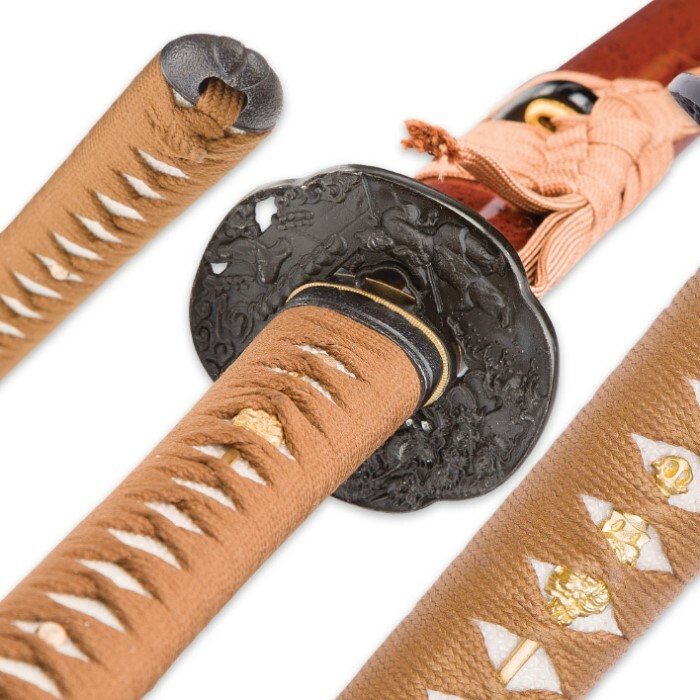 A masterpiece of design and structure, our Musashi Hidden Dragon Samurai Sword is a must-have for the Samurai sword collector. The 27 1/2” T10 carbon steel blade was hand-forged and carefully assembled by some of the greatest swordsmiths in the world. The wooden handle is wrapped in genuine rayskin and has traditional cord-wrapping and wooden pegs. The iron tsuba has a unique hidden dragon design and both the habaki and seppa are of brass. The razor-sharp blade is housed in a lacquered wooden saya with a decorative cord-wrapping. 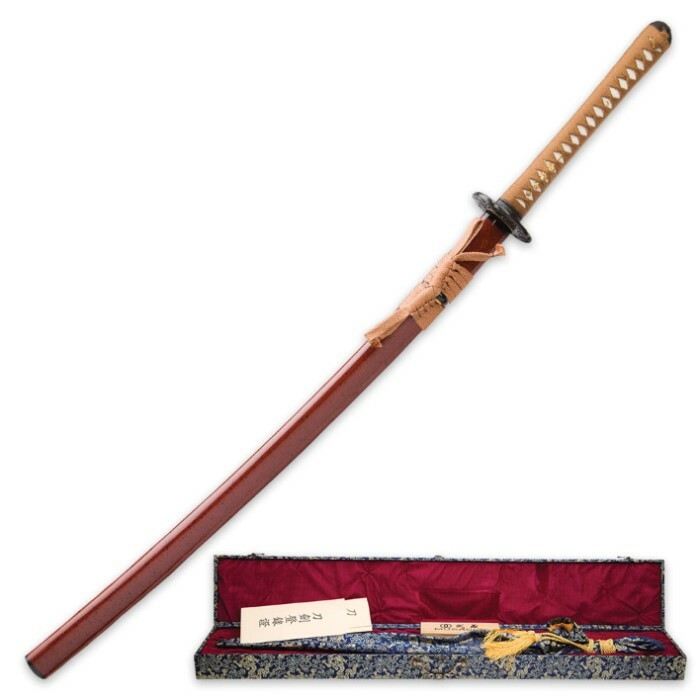 This Samurai sword is 40 1/2” in overall length. It comes in a decorative box and bag and a certificate of authenticity is included. A premium cleaning kit is also included with the sword. You can get the saya and cord-wrappings in either a red or black color scheme.